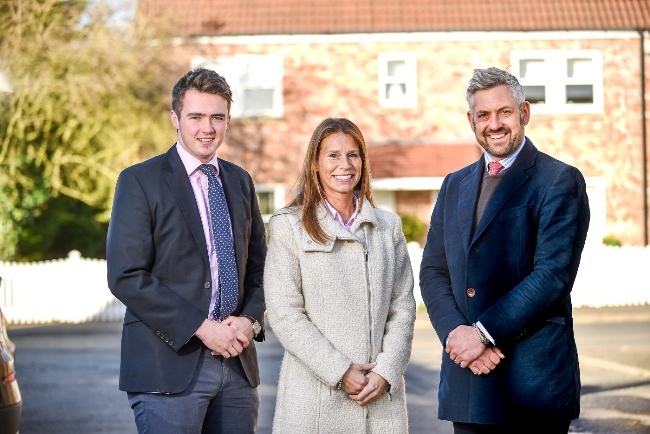 Property agent Croft Residential, which is based in York, has reported a record quarter for the business in July, August and September of this year, with sales for clients across Yorkshire totalling more than £39m. Founded and headed by Toby Cockcroft, Croft Residential specialises in selling exclusive and unusual historic homes, as well as in land sales, across Yorkshire and the north of England. The firm agreed a total of 24 deals in the last three months, with sale prices ranging from £200,000 to £5.6m. An iconic derelict windmill, a 16th century York manor house that had reputedly been Oliver Cromwell’s battle of Marston Moor headquarters, and an off-plan sale of a luxurious new-build in Harrogate that set a record price per sq ft for the town, have all featured among the prominent Yorkshire property sales handled by the business in the past three months. Toby Cockcroft said: “This summer’s fantastic weather undoubtedly had a part to play in the phenomenally successful period we have just seen, but demand for luxury properties in the north and especially in North Yorkshire remains extremely high and is outstripping supply. “At the top end of the market, homes are currently selling very rapidly indeed, whether that is in the form of off-market, private transactions or on the open market. “Yorkshire seems to be going from strength to strength as a location and we are seeing new families moving into the region, for whom unrivalled locations such as York and Harrogate, with their excellent schools and quality of life, are an extremely attractive prospect,” said Mr Cockcroft. Croft Residential, which was founded by Mr Cockcroft in 2010, is continuing to attract high levels of interest in its current £160m portfolio of properties across the north of England. They include a North Yorkshire country estate available off market for £11m, and a development site for 80 homes in Green Hammerton.